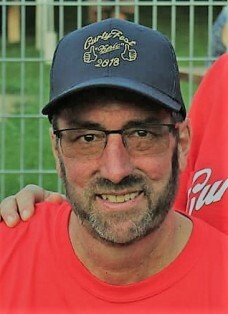 Curtis “Curt” Brown, 53, of Sparta, died Sunday, February 3, 2019 at his home. He was born to Gerald and Janette (Duckert) Brown in Belleville, WI. Curt grew up in Belleville and graduated from Belleville High School with the class of 1983. He married Kristy (Lange) on August 27, 1988 in Belleville and they moved to Sparta in June of 1989. Curt and George Mack formed Service Plus Heating and Cooling, LLC in 1995. Curt worked hard and played hard-he was an outdoor enthusiast and he loved 4-wheeling, hunting and fishing, hanging out at the cabin or just on the porch at the house with friends. He enjoyed watching the Packers and Badgers play and was a win-or-lose diehard fan. He also enjoyed NASCAR and cheering on local drivers at LaCrosse Speedway. Curt is survived by his wife, Kristy Brown, of Leon; parents, Gerald and Jeanette; brothers, Brian (Yvonne) Brown; and Doug Brown; a sister, Jackie (Greg) Schulting; all of Belleville; many nieces and nephews; and all the friends that were like family to him. He was preceded in death by his paternal grandparents, George (Grace) Brown; and maternal grandparents, Vernon (Evelyn) Duckert.